Inclusive sizing is certainly not a trend. However, over the past few years, it has become prevalent to see fashion brands expanding their size ranges to accommodate more people (see: Reformation and Loft, for example), as well as new brands popping up that set the intention not to ignore customers of any size. Regarding the latter, the latest is Second Sight. And though the label is new, chances are that you’re already familiar with the designer behind it. First up for the launch is a range of white-and-black designs that have modern, unfussy, and elegant silhouettes that counter a classic color palette and a playful polka-dot print. 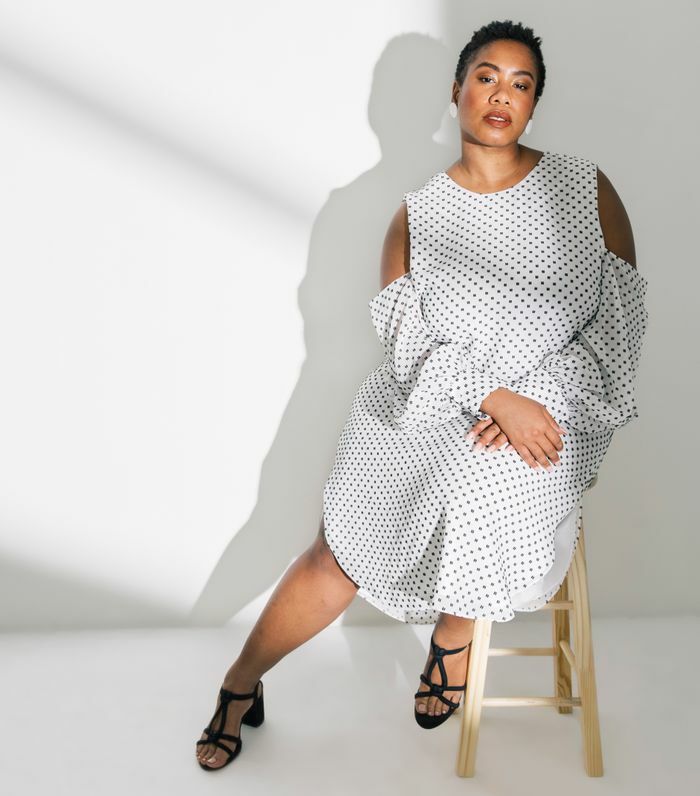 And though we have to wait another month for more options, Haworth tells us that her designs come from a place of being truly informed about her customers—her longtime ones and those who deserve many more style-forward options for their size. The first batch of products is available on site today, but feel free to peruse them below first.